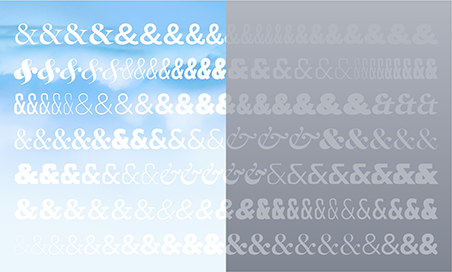 Use Fonts in Email | News, Notes & Observations | Hoefler & Co.
Now you can use Cloud.typography to style email campaigns with your favorite H&Co fonts. Designers who love type want to use it everywhere. And that’s an obsession that perfectly aligns with what clients need: why not brand all of a company’s communications consistently? Subscribers to our Cloud.typography service, who use H&Co fonts for their web and mobile communications, have recently begun asking about extending their typography to email as well. So we’re delighted to announce that starting today, all Cloud.typography subscriptions now include the ability to use fonts in email campaigns. We’re pleased to offer yet another way to use the power of typography to extend a brand’s voice. A distinctive, high-quality typeface helps email stand out. For many companies, email is the most direct way to communicate with their customers. It’s a critical part of any marketing strategy, but still a tough puzzle to crack: while people check their email constantly, and one-third of marketers say their subscribers read most of their email on mobile devices, nearly two-thirds of companies are looking for new ways to improve email personalization. It’s harder than ever to make email stand out — which is where the right typeface, chosen with care, can help. Now, your email campaigns can take part in everything that makes your brand unique, including its typography. With Cloud.typography, readers of email can experience the same high-quality screen typography that they’ve come to expect from H&Co fonts on the web. Because email uses type at text sizes — and often, features so much text — email campaigns are the perfect place to use H&Co’s ScreenSmart fonts that are optimized for reading at small sizes. Take a look at our growing collection of ScreenSmart fonts specially tuned for text sizes, and then log in with your Cloud.typography subscription, where you’ll find an option for “email campaigns” included in all of your webfont projects. Now, your email campaigns can share the same branding as all of your other communications. 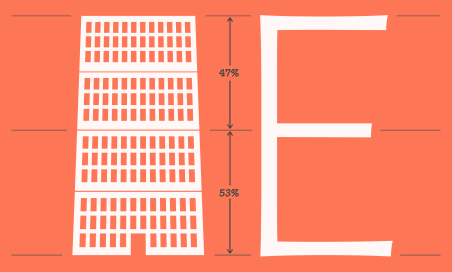 Email is still a new frontier for typography. On the reader’s side, support for fonts is limited, but growing: many desktop and mobile apps like Apple Mail and Microsoft Outlook support webfonts, but most browser-based clients like Gmail don’t. In other words, a branded email sent to a gmail.com address will render with webfonts if it’s being read in an application like Mail or Outlook, or on the mail app on the owner’s iPhone, but it won’t show the branded fonts if it’s being read inside a web browser. But as always, Cloud.typography won’t interfere with your message getting through: when someone reads a branded email in an application that doesn’t support webfonts, they’ll simply see it appear using the same system fonts that you’re using today. Cloud.typography uses your available pageviews to satisfy email opens, with each open counting as a single pageview. You’ll find more information in our email FAQ, and some best practices for using fonts in email in the Cloud.typography user guide. If you’re using H&Co fonts in your other communications but aren’t yet a Cloud.typography subscriber, join today and you’ll have instant access to all the H&Co fonts you’ve ever purchased in the past, without the need to buy them again. Subscriptions start at $99/year. We’re excited to offer designers a new tool to both elevate their typography and expand their reach. Fonts are the foundations of so many memorable experiences, and we’re glad to see H&Co fonts playing yet another role in the ways that successful and timeless brands communicate. —H&Co.